Happy Valentine’s Day! Of course the theme at I Heart Faces this week is all about Hearts, and I just had to join in. Yesterday I tried to get some with the boys and the heart shaped crayons they gave as Valentine’s today to their classmates, but none of them really turned out as I had hoped. Then it dawned on me that when I did our little “Blue Steps” shoot a few weeks ago that Lily was wearing a jumper with a heart on it! Perfect! This one is a favorite of mine, even though one of the boys didn’t make the photo. 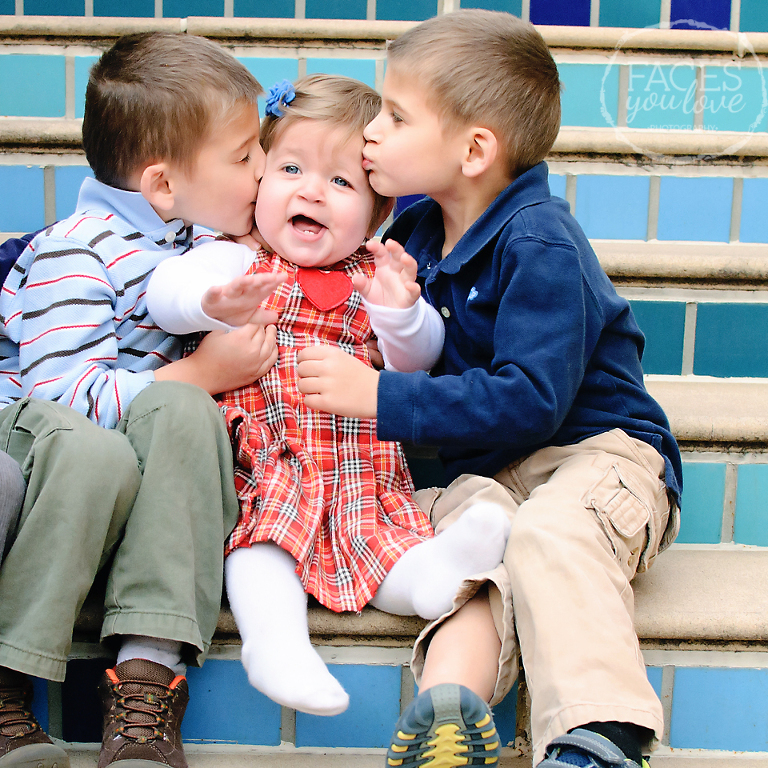 I love the look on her face and the impromptu, sweet kiss two of her brothers gave her! They adore their baby sister and I so love watching them with her. You can join in the heart fun, by submitting your picture by tonight! Click the button below!